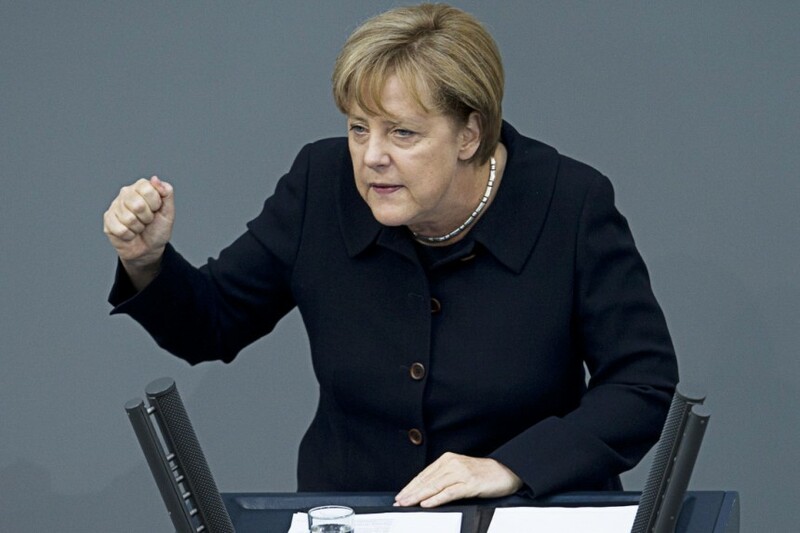 This is WOW News 247: German Chancellor Cries Out: "Islamist Terrorism Is The Biggest Challenge Facing Germany"
German Chancellor Cries Out: "Islamist Terrorism Is The Biggest Challenge Facing Germany"
Referring to the deadly truck attack in Berlin by a Tunisian asylum seeker, she said it was "sickening" when acts of terror were carried out by people who had sought protection. She said 2016 had been a year of "severe tests". But she also said she was confident Germany could overcome them. "As we go about our lives and our work, we are saying to the terrorists: 'You are hate-filled murderers, but you do not determine how we live and want to live. We are free, considerate and open'," Mrs Merkel said. Twelve people were killed when Anis Amri drove a truck at crowds at a Berlin Christmas market two weeks ago. Ansbach, wounding 15 other people. The attacks have led to some criticism of Mrs Merkel's policy of admitting more than a million refugees and migrants in 2015. But in her New Year message the chancellor said images of the devastation in the Syrian city of Aleppo, where Syrian government forces have forced out rebels after months of fighting, showed how "important and right" it was for Germany to take in those fleeing the conflict. "All this is reflected in our democracy, rule of law and values. They are the opposite of the hate-filled world of terrorism and will prove stronger than it. Together we are stronger. Our state is stronger," she said. Mrs Merkel also denounced "distortions" that were leading people to believe that the EU and even parliamentary democracy were no longer working. The EU was "slow and difficult", had suffered a blow with the United Kingdom's vote to leave and should focus on the things it "really can do better than the nation state", she said. "But no - we Germans should never be deceived into thinking that a happy future could ever lie in going it alone nationally," she added.